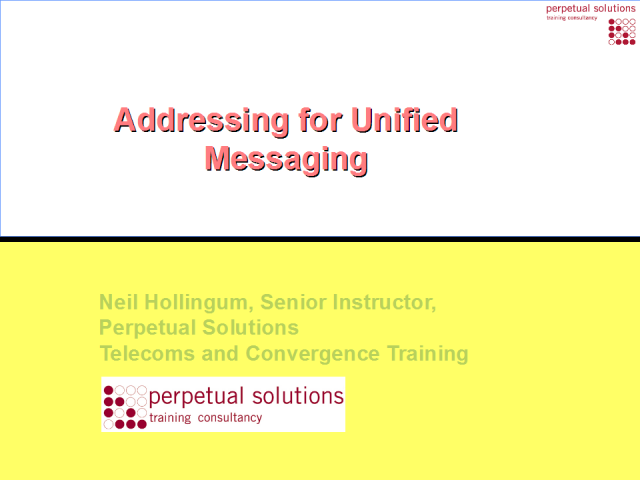 Unified Communications relies on delivering a mechanism for universal addressing. This presentation will examine current generation solutions to addressing issues from a technology rather than vendor oriented perspective. Perpetual Solutions is a vendor independent training company delivering convergence and telecoms technical training.